It’s been revealed by Street Feast that Woolwich’s old covered market may be closed all year due to “maintenance issues”. The covered market which was recently granted Grade II listed status – which affects plans for wider redevelopment of the site. In previous weeks a delay to reopening was mooted but it was supposed to open today, when news came out that a reopening may not occur at all this year. Hi Emily, we're not sure when or if we'll be reopening Public this year due to ongoing maintenance issues. But keep an eye on our socials for updates. Woolwich can’t catch a catch a break recently with delays all over the shop. Crossrail is delayed to who knows when (2020? ), Woolwich Ferry reopening is delayed until “February” now and one of the newest attractions is now possibly closed all year. And as I recently covered, numerous places in the town centre have shut for good recently including the highly rated Fishyard restaurant, Starbucks and Peacocks will close doors soon. With many thousands of new homes and many more residents this wasn’t supposed to happen. i would take this with a pinch of salt. It reminds opf the day before their hearing to open the thing when the owner tweeted that he’d had enough of trying to help people etc and was ready to give up. Up until the tweet today they were supposed to be opening this evening – they’re not the best on advertising – there’s still posters there advertising something that finished on 15th Dec.
I’m not surprised. I visited the covered market in its last days and it was a foetid place. The Lewisham market is equally squalid and I wouldn’t dream of eating food sold from either venue. Woolwich is being positioned as a dormitory town with the spending power of the sleepers going elsewhere. The developers are growing fat on sales and Greenwich council is getting council tax receipts. There is nothing to worry about as far as they are concerned. Sorry to hear this news a lot of my friends went to Street Fest on a regular basis. 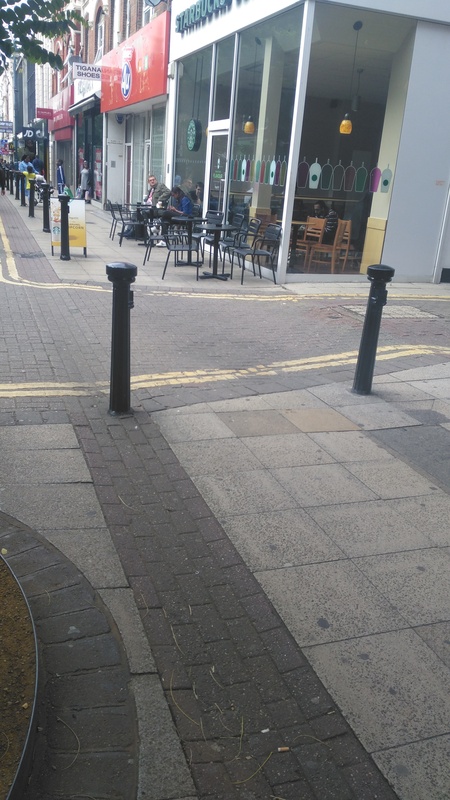 We do not have good strong town centre management team at Greenwich Council. With so much new development in and around Woolwich Town Centre and the local population growing. Greenwich Council should be encouraging new retailers and businesses to the area and supporting them to stay in business while they become established in the town. Sad to see retailers and businesses like Peacocks Fishyard Restaurant and Starbucks leave Woolwich. Which in turn sees local people potentially lose their jobs if not employed in other branches of Peacocks or Starbucks. I was saddened to read this. I worked with the Street Feast team delivering Pop! Up events and they were incredibly helpful and supportive with our classes etc- taking the time to move furniture etc. We had plans to deliver something bigger so hopefully these issues can be resolved.